Today is an auspicious occasion for the denizens of the Underworld! 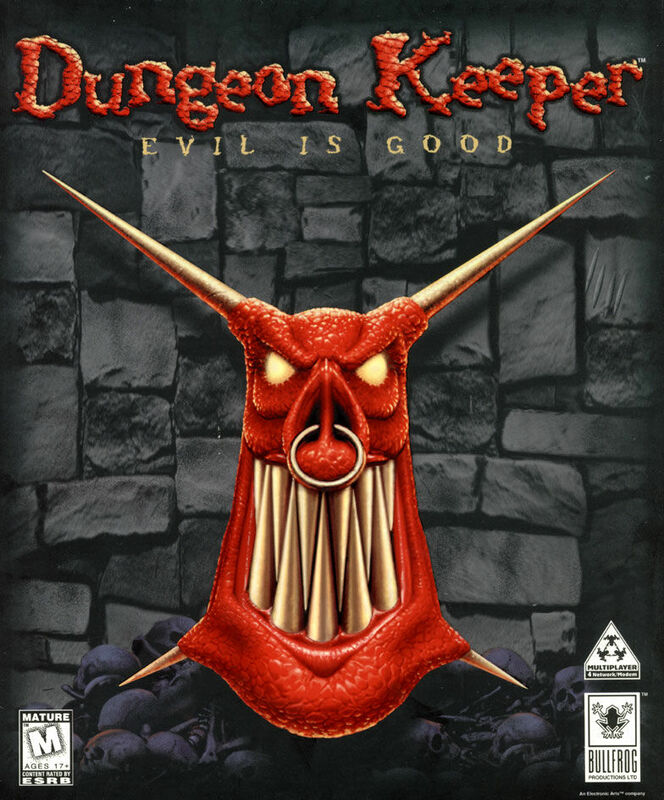 For you see, twenty years ago today, a little game known as Dungeon Keeper was unleashed upon the world by Bullfrog Productions and Electronic Arts. 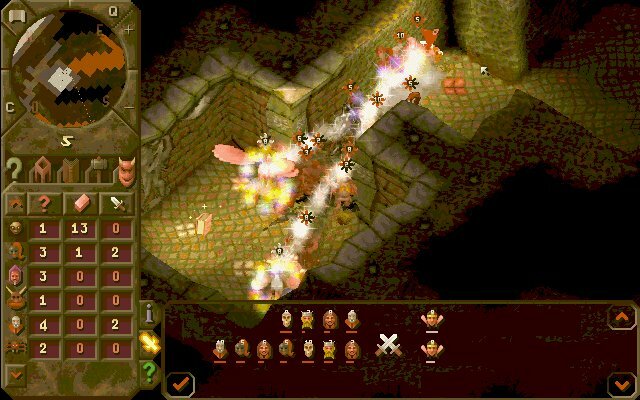 The brainchild of Peter Molyneux and the team at Bullfrog, Dungeon Keeper would be the progenitor of a whole new unholy sub-genre, now known as Dungeon Management, which melded together aspects of RTS, God Games and RPGs, to create a truly unique experience. Placed into the mind of an abhorrently cruel godlike being, you were charged with the creation and management of a deathly dungeon and its despicable denizens. This unique concoction of gaming flavours would go on to touch countless lives, and become a cult classic with a dedicated following all across the globe. It is now one of the most recognisable achievements of Bullfrog, which considering their success, is truly saying something. 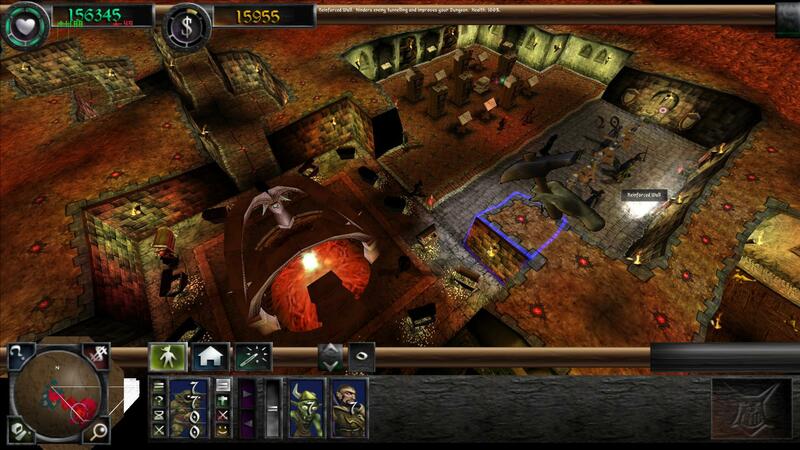 A sequel, the aptly titled Dungeon Keeper 2, was released two years later in 1999. It continued the ignoble legacy, even promising a third title, before the series’ life was brutally cut short by a shifting industry direction, and the loss of core members of the Bullfrog team. Fans bayed for the promised third coming but it was never to be. Dungeon Keeper 3 would never be realised, and the original trailer and premise of the “War for the Overworld” would continue to taunt fans for well over a decade. The deathly silence that followed was punctuated only by a few games inspired by the long absent king, many of which failed to meet the great expectations left behind in the void of Dungeon Keeper’s passing. The years slipped away into the abyss, like so many Lords of the Land, but the Dungeon Management community grew in both size and age. With no sign of a new Dungeon Keeper on the horizon, it began to scheme and plan projects that could take up the reins of evil. If the industry would not fill the gap in our lives (with anything of value at least…) then we would do so ourselves. Dozens of projects coalesced and dissolved. 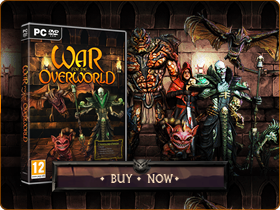 One such project, first envisioned on the Keeper Klan forums in 2007, reformed in 2011, and successfully Kickstarted in January 2013, is now better known by a name that meant so much to every Dungeon Keeper fan: War for the Overworld! We’ve never made any secret of how much Dungeon Keeper has inspired War for the Overworld. 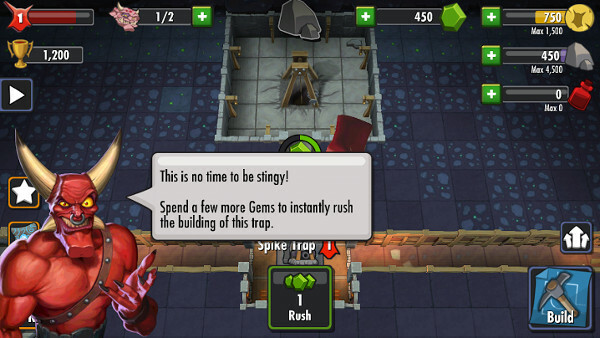 We wanted to create a game that held as true as possible to the DNA of Dungeon Keeper – a game that could truly be considered a spiritual successor, taking what we felt was best about the gameplay and finding places to evolve it into a modern Dungeon Management game in its own right. My first experience of Dungeon Keeper was shortly after its release in 1997 when I was just a wee lad of 6 years. I remember my older brother bringing this game home and watching him play it on our old Windows 95 desktop that was primarily used for my father’s work – but also for such gaming classics as Doom, Theme Park and Command and Conquer. As I watched my brother play I just knew I had to have a go! This game looked like nothing I’d ever seen – the incredible isometric view, dynamic lighting, unique creatures, and ability to dig, shape and build rooms captured my imagination immediately. I waited… and waited while my brother played. Days later I finally got my chance! I sat down in the big seat, eager as you might imagine a 6-year-old would be, and played my first level. So eager was I to build that I forgot to give my Imps time to fortify the walls. My dungeon was destroyed by the invading heroes before it even began! Rather pathetically I had lost the first level. From then on I played the game on and off through the years. As I grew I became more and more competent. I finally beat the game and begged my parents to buy the sequel in 1999 (they eventually gave in). Since then I’ve played both games many, many times, most famously when I wrestled with the AI assistant on stream. I often look back on them as two of my favourite games ever made. I remember for many years wishing for a third game, following various projects online (I’m sure you can imagine which!). For years I talked with friends about wanting to learn how to make games myself so I could work on something like that, but being pragmatic as I am, I decided to pursue a life in computer networking. I jumped with joy when War for the Overworld’s Kickstarter happened, and backed £200 immediately. From there I became extremely active in the community, and the rest is history. Dungeon Keeper played a huge role in my life, and without it I would not be where I am today – helping to shape a fantastic Dungeon Management game and a dedicated community around it! Thanks for all the fun times and memories Bullfrog! You will always be missed! From an early age I knew that I wanted to be a game developer, after all my father had been one for my entire life so it seemed like a natural fit. Back in those early days I never would have imagined I’d have been directly responsible for one of the most popular modern Dungeon Management games. I don’t entirely remember how old I was when I first played a Dungeon Keeper game. I know that I was certainly quite young, perhaps 7 or so when I dove headfirst into Dungeon Keeper 2. I was always a big fan of strategy games such as Command and Conquer and Populous: The Beginning, and something about DK2 really called to me. Though I wouldn’t encounter the original until much later, I can truly appreciate how much is owed to it. 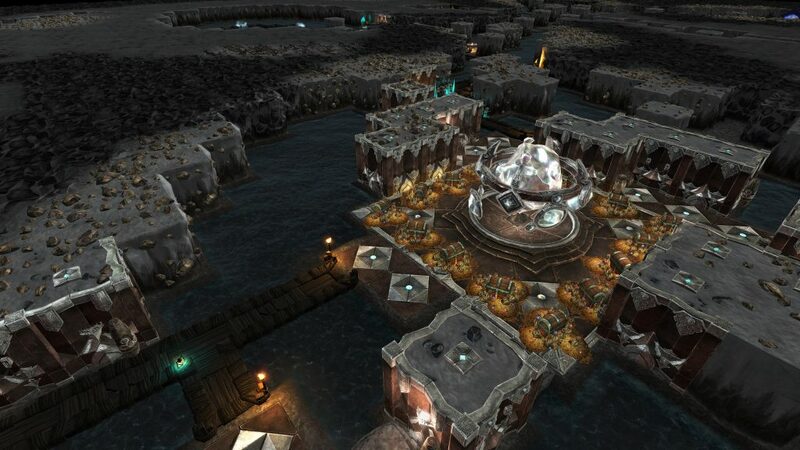 Keeper Klan is still a hot location for Dungeon Management fans! I remember spending hours just working my way through the campaign and the disappointment that came in knowing that there would never be a third game. Over the years I watched games attempt to capture the magic, but nothing ever felt quite right. By 2007, at the tender age of 15, I knew that if I wanted to play a game that truly captured the feeling of total control, I’d have to make it myself. A decade and a whole lot of stress, sweat and graft later here I am, with something I’m proud to put my name to. Dungeon Keeper was a game I played far before I ever considered becoming a game developer. It was a game I found myself reinstalling often to get that unique management game fix that only the DK series seems to have ever given. My gamedev story in brief is one of self-learning and a lot of failed experiments. A lot. I have the DK series to thank for the high benchmark I pressured myself to achieve, and it was a constant inspiration and driving force as my attempts to make games became progressively more complex. Although I never played DK1 as a kid, its sequel completely grabbed my attention. Atmospherically, Dungeon Keeper 2 was captivating. The gritty colours, the eerie sounds, the twisted style of the landscape, made the dungeon management experience so inviting and addictive. Being introduced to the game by my friends, I was immersed into a dark world so unlike many other games. It felt as if few games were willing to explore the point of view of the bad guy, which made the whole experience even more exciting. For me, creating an army of my favourite creatures and traps meant playing so many hours of skirmish matches. I feel games like Dungeon Keeper are so inspirational for their integrity of their vision and feeling. Hello. Many years ago now I remember having an absolute blast when playing Dungeon Keeper 2 online with my friends. We’d almost every weekend get together and devise strategies to see who could crush the others first. 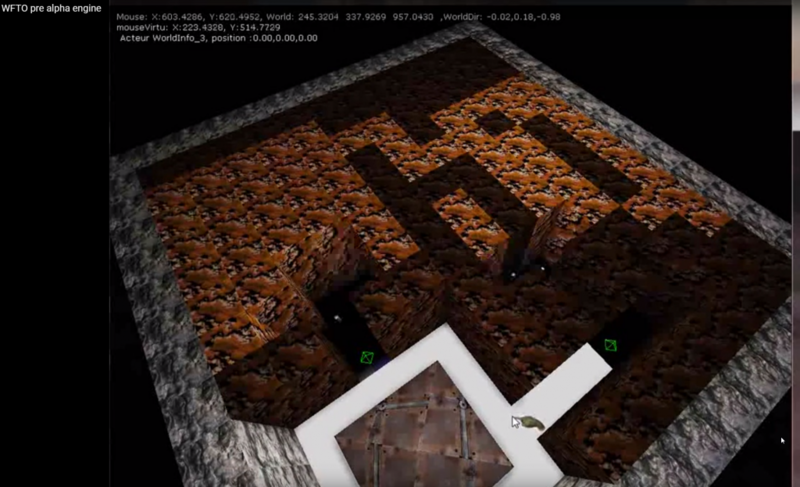 From my experiences playing I was inspired to teach myself programming so that I could develop video games, and started working on a prototype in the UDK engine with similar principles to Dungeon Keeper. I’m sure you can find footage of that if you look around. 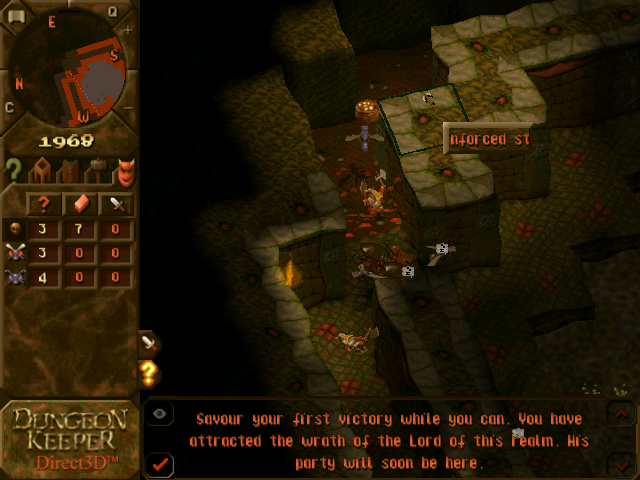 It was a huge challenge – Dungeon Keeper is an extremely unique game and honestly something of a technical marvel for its time. Shortly thereafter I discovered the WFTO project on Keeper Klan and I signed up to join the team. The rest is as they say is history! These days there are dozens of Dungeon Management games, either released or in production, all inspired by a single progenitor to some degree. Dungeon Keeper is to us what games like Wolfenstein or Doom are to the FPS genre – a true genre-defining classic that has inspired countless people to carry the torch and get into game making themselves. We’re proud to have been one of the most influential of the Dungeon Management games in recent times, and to have been the first to achieve a successful Kickstarter, Early Access, launch, and post-release support cycle that is still going to this day! 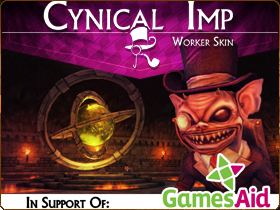 It is our honour to truly have been a project by fans of Dungeon Keeper, for fans of Dungeon Keeper. Dungeon Keeper 1 and Dungeon Keeper 2 are available to purchase from GOG.com. Discover Dungeon Keeper on GOG.com! I love this. 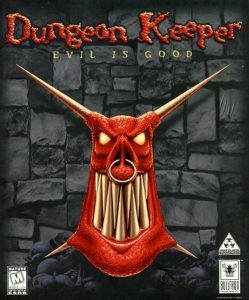 I remember how much time I used to spend on Keeper Klan in the mid-late 00s, seeing all the different attempts to create spiritual sequels or outright re-make Dungeon Keeper was so fascinating. Whenever someone would put out an alpha of their work on a Dungeon Keeper engine I would get so giddy, no matter how many times people tried and failed. I have some memory of when WFTO was very first posted on Keeper Klan, though if I remember correctly there were two games with the same title. But if I remember correctly there was a tech demo with wall-tops that look slightly similar to the ones in the full game. I remember walking into my favorite place:the EB Games store at the mall, and right next to the video game magazines they had the original DK trailer playing on a computer in the corner of the store. After seeing it so many times I finally bought DKII and was blown away by it. I thought going into 1st person view with the imps was the coolest thing I’d ever seen. I never did manage to beat the game though… Maybe it’s time for another try. So I have been nerding this game for 20 years now. Usually old game remakes are worse than the original(e.g. Jagged Allience 2). But War for the Overworld does transport the oldschool feeling, and adds gameplay to it. So it is an improvement even. Allthough I don’t like that the monsters were changed so much (I miss the old monsters) I’m still very happy with WFTO. A worthy successor I’d say. Thank you for creating this game. It restores my faith in the world (partially).